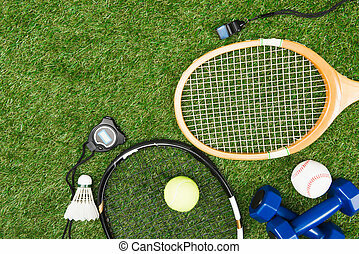 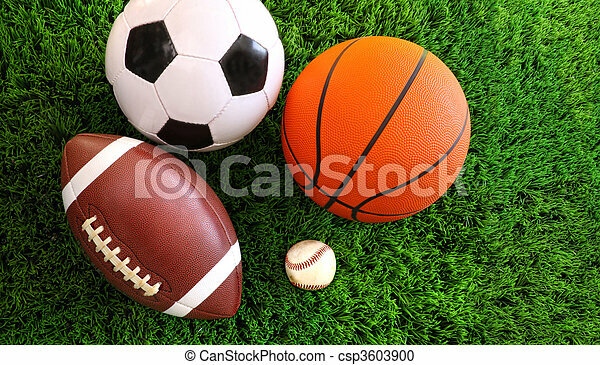 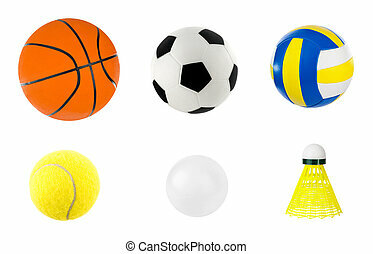 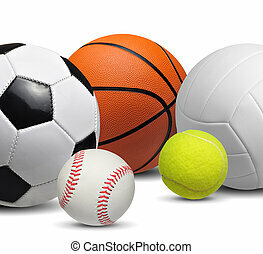 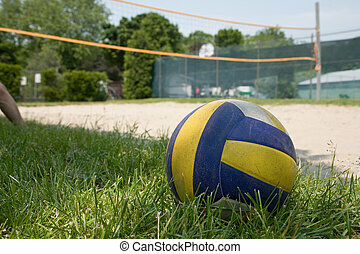 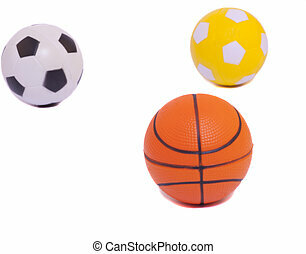 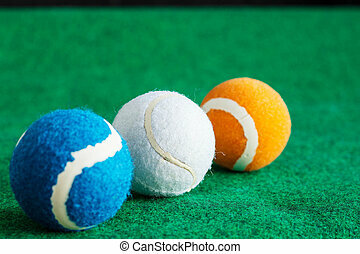 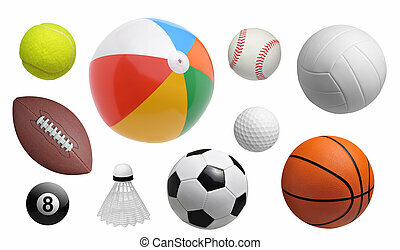 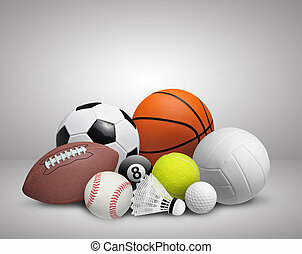 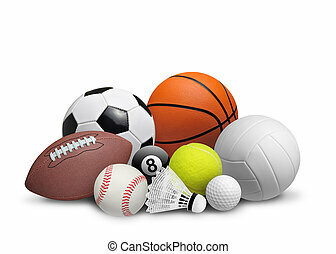 Assortment of sport balls on grass. 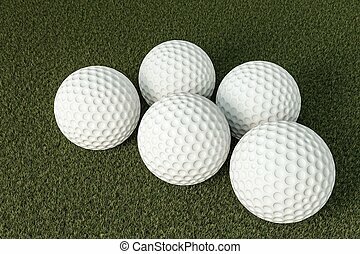 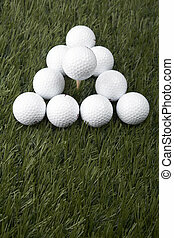 Assortment of sport balls on green grass. 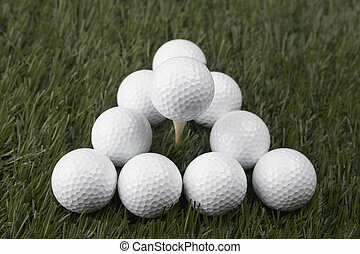 Tennis balls lined up on the grass. 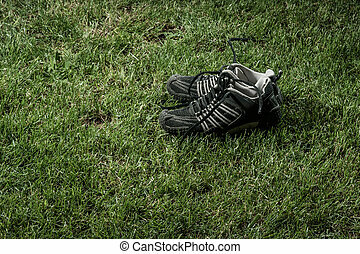 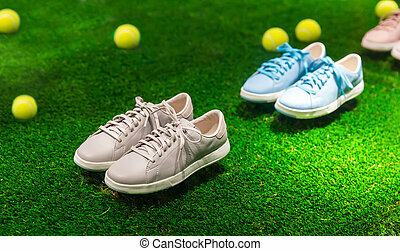 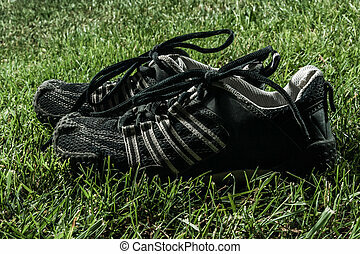 Few pairs of color sport shoes and yellow tennis balls on green grass with sunlight rays.